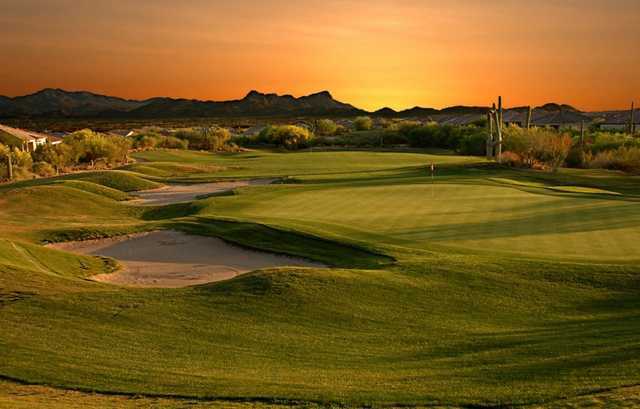 The Highlands at Dove Mountain is nestled in the foothills of the Tortolita Mountains at an elevation of 3,000 feet, providing the golf course with a spectacular view of the Tucson skyline. 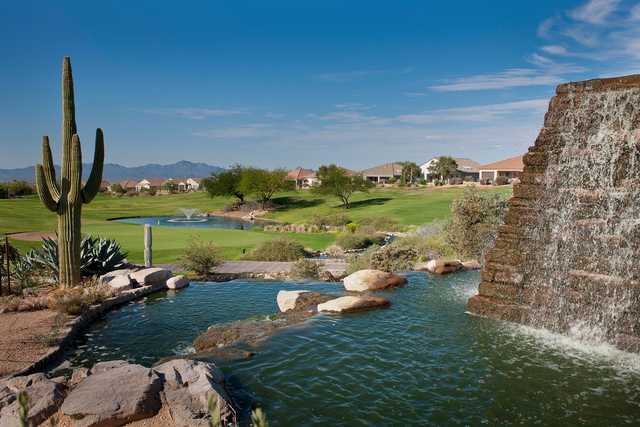 Its lofty location also makes it cooler in the summer so you can enjoy the course year-round. The layout encapsulates the beauty of the Sonoran Desert with mature stands of saguaros and other desert vegetation accenting the rolling hills. 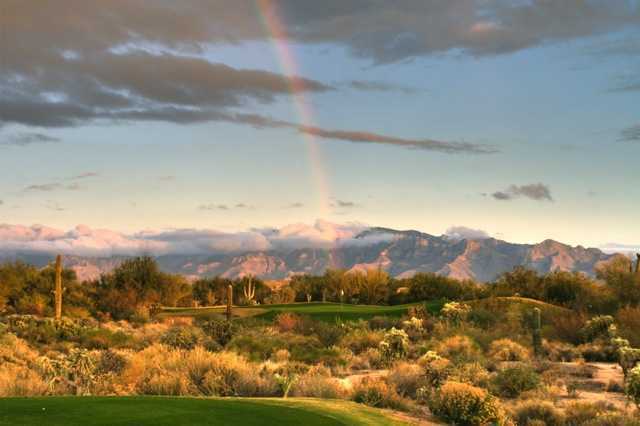 The Highlands at Dove Mountain is nestled in the foothills of the Tortolita Mountains at an elevation of 3,000 feet, providing the golf course with a spectacular view of the Tucson skyline. Its lofty location also makes it cooler in the summer so you can enjoy the course year-round. 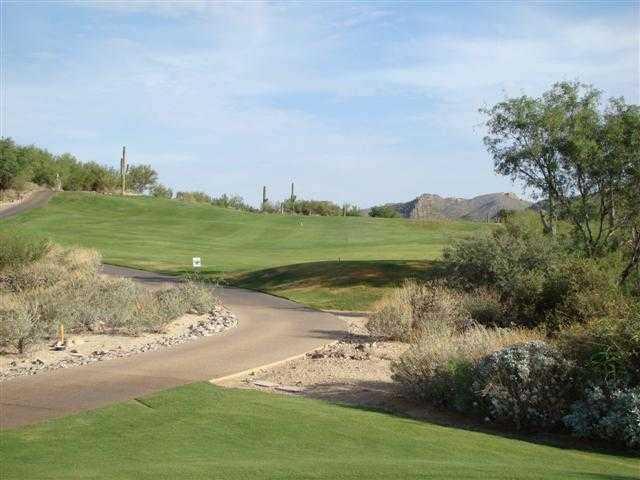 The layout encapsulates the beauty of the Sonoran Desert with mature stands of saguaros and other desert vegetation accenting the rolling hills. Arthur Hills designed the golf course, giving it different front and back nines. Although the front plays across flatter terrain, the desert washes and arroyos guarantee that you'll still face many challenges. 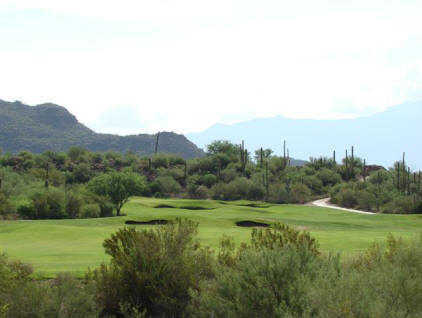 The back nine has more dramatic elevation changes with views of the five surrounding mountain ranges. The long par-5 10th hole is the course's most difficult with a narrow fairway and bunkers that frame the triple-tiered green.